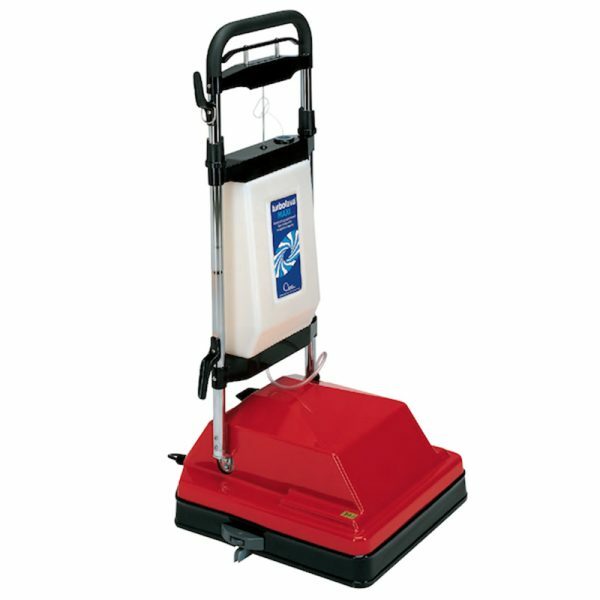 The turbolava® Maxi has two counter rotating brushes or pad drivers that will clean a path of 17”. 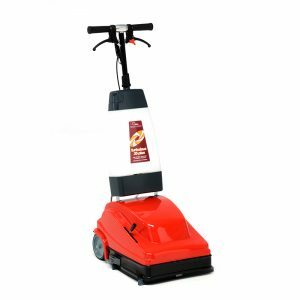 It can be used on all types of floors Concrete, Slate, Marble, Wood and the toughest of all to clean Textured and Grouted Ceramic Tile. 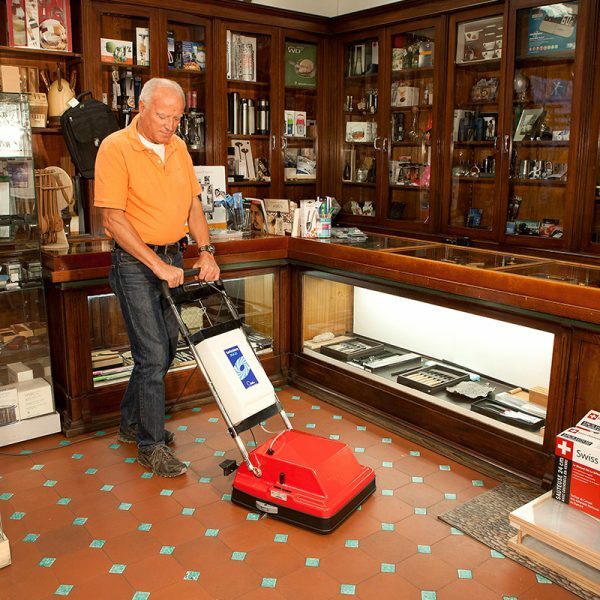 The unique split-level brushes rotate at 550 RPM providing the most effective cleaning of any machine on the market. The same machine will also pick-up the soiled solution into the recovery tank for easy disposal. The full-length squeegee allows for solution recovery up to the wall. The turbolava® Maxi is built on a stain-less steel frame for years of use. 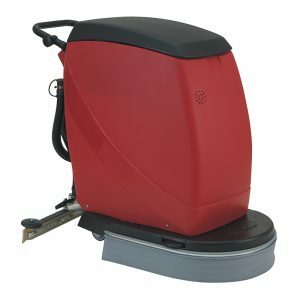 Easy to use, the turbolava® Maxi is extremely fast and efficient in cleaning small to medium size floors such as, restaurants, hotels, gyms, offices, shops, kitchens, restrooms and hospital operating rooms.